The Hollywood Walk of Fame is a star-studded attraction that immortalizes deserving performers of every stripe; a constellation of famous personalities laid-out along the sidewalk. 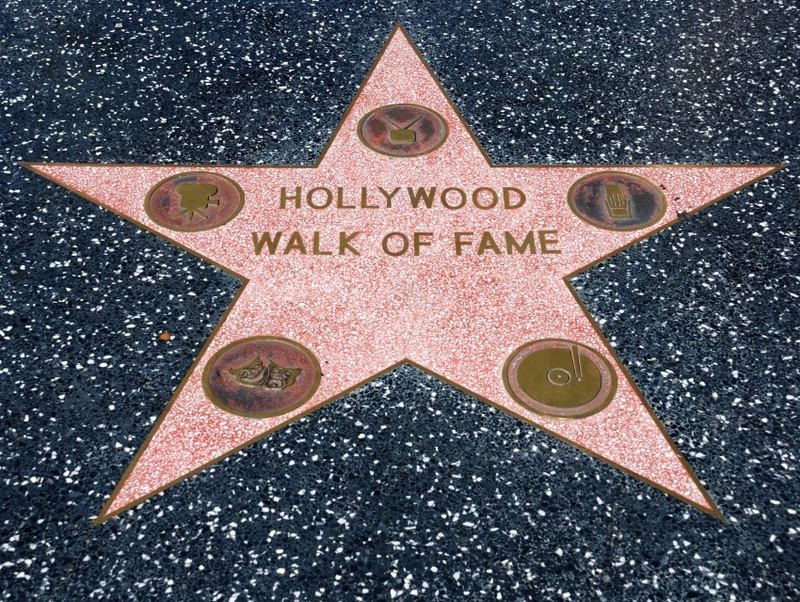 The Walk of Fame is very much a tribute to Johnny Grant, the former mayor of Hollywood and a relentless promoter of Tinsel Town. Encompassing a stretch of the sidewalk along Hollywood Boulevard, near the intersection of Hollywood and Vine, more than 2600 brass-inlaid, terrazzo stars honor some of the most famous personalities of the entertainment industry, including movie stars, radio-show hosts, recording artists, film directors, TV personalities and stage actors. New stars are added frequently, an event that is accompanied with much pomp and show, creating an ever-evolving chronicle of Hollywood's vibrant legacy.